Fairy String Lights 2-Pack Just $12.99! Down From $26! You are here: Home / Great Deals / Amazon Deals / Fairy String Lights 2-Pack Just $12.99! Down From $26! Head over to Amazon to get this Fairy String Lights 2-Pack for just $12.99 down from $25.99 PLUS FREE shipping with Amazon Prime or for orders over $25! 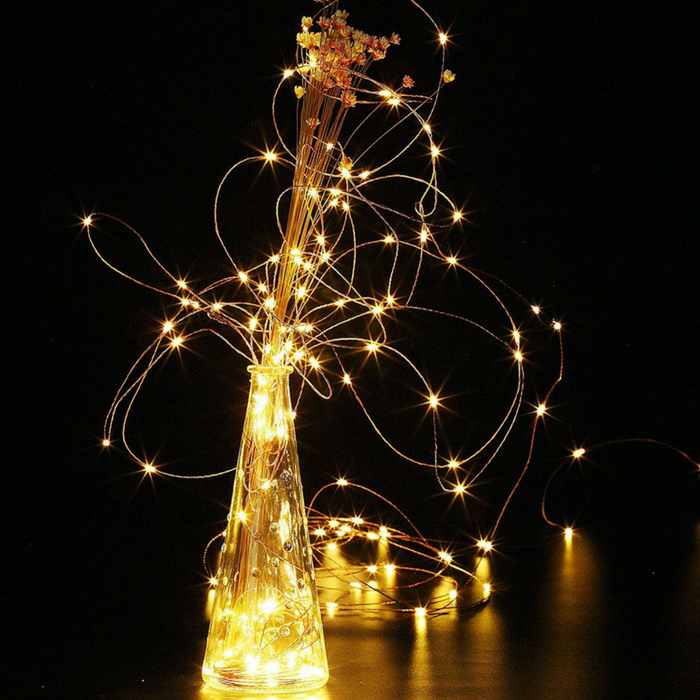 Decorate your life and home with this beautiful Fairy String Lights. This battery copper wire light is really trending nowadays! When you put it in the glass jar, It would look like there are many beautiful fire flies inside. The copper wire is flexible, you can bend it to any shape or wrapped it on anything you want like wreaths, trees, flowers , weddings with bouquets. There are many creative ideas of the starry lights for your patio, deck, front porch, room, kitchen and garden. This is perfect for the Christmas season!